Socket wrenches are complex tools. They consist of a handle and the hollow socket for end caps fixation. Used to connect threads by screwing or unscrewing bolts, nuts, etc. 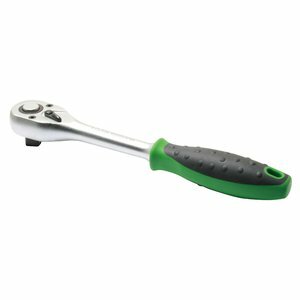 1/2" 72-teeth reverse flat ratchet handle with quick release.